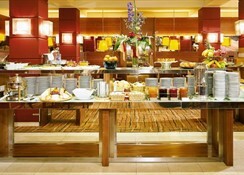 A tastefully decorated garllery bar/breakfast restaurant echoes the found throughout the hotel. The staff is friendly and helpful. 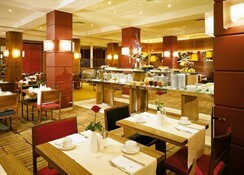 The hotel offers a buffet breakfast every morning in the stylish ground floor breakfast room. The K+K Opera also has a fitness area with a gym, sauna, and for an extra fee a massage area to, all the guests. There are 5 conference rooms for business events. Pets are allowed, under 10 kg, and for an extra charge. 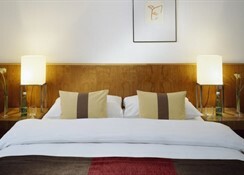 "A lot of attractions are nearby including Heroes' Square, City Park and the World Heritage Castle District. It is situated in the city centre of Budapest close to the Opera House, the main attractions and the "Váci utca", pedestrian shopping area. 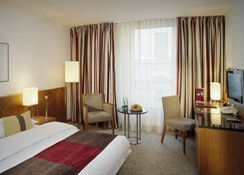 This hotel is not only within close proximity of the Opera House, but is also right near Budapest's theater district. The Opera subway stop is right in front of the hotel. " 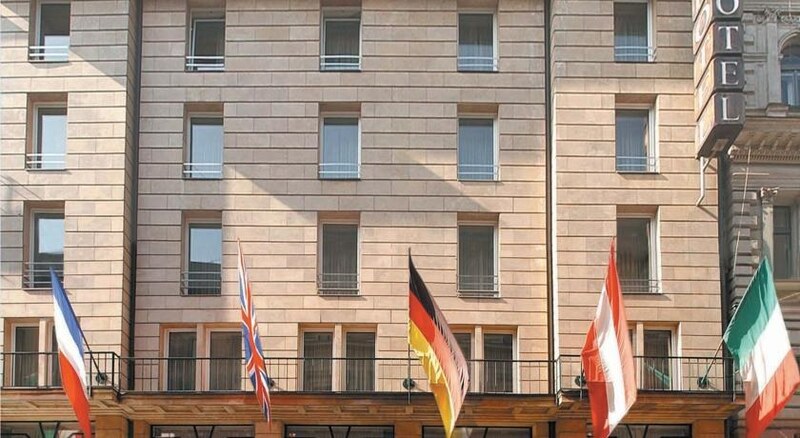 Bedrooms in this hotel are bright and spacious with modern amenities, creating an airy feel, and have large windows, some overlooking facing Revay Sir or Courtyard. The bathrooms are modern and all equipped with bathtub or shower. 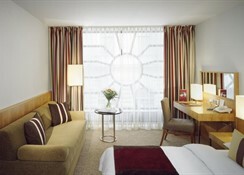 All rooms have been equipped and decorated in order to provide maximum comfort in an elegant and modern environment. From West train station, Underground line M2 (red line) to Deák Ferenc Square, change to M1 (yellow line), 2 stops to Opera. From Nyugati pályaudvar (Train Station (West)): Underground line M3 (blue line) to Deák Ferenc Square , change to M1 (yellow line), 2 stops to "Opera". Déli pályaudvar (Train Station (South)): Underground line M2 (red line) to "Deák Ferenc Square", change to M1 (yellow line), 2 stops to "Opera". By car: At the end of highway M7 or M1 - follow the sign Centrum. Take Pet fi híd (bridge) across the Danube to the Pest side. Continue to Oktogon square; there you have to turn right and then immediately left onto Andrássy utca. Turn right into Káldy Gyula utca (second street past the Opera House to the right) and right again into Révay utca.